Phewph! It was a crazy busy week, but I survived! And I have to admit, being so busy and productive does amazing things for my mental health and well being. Sure, it’s exhausting. But I seemed to get the best sleeps this week. The kind where you hit the pillow and pass out immediately. No staring at the ceiling waiting to fall asleep. Not to mention the boss girl feeling I’ve had the past week getting so much done. I was sick last week and my fitness habits suffered. Despite a bit of congestion lingering, I decided to get back to the gym and join in on a RPM cycling class on Monday evening. It was hard! But it felt amazing. I also spent my GAP Gift Card that I got from The Social last week, because there’s nothing like new workout clothing to motivate you back into a routine. 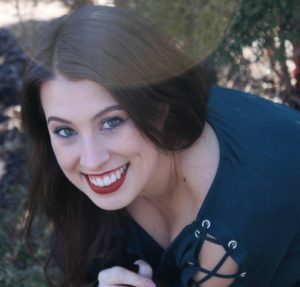 I originally thought I would use it at Old Navy – where I normally buy most of my activewear – but I decided to try some of The Gap’s instead. The pants arrived on Friday and I was so surprised. They feel amazing! 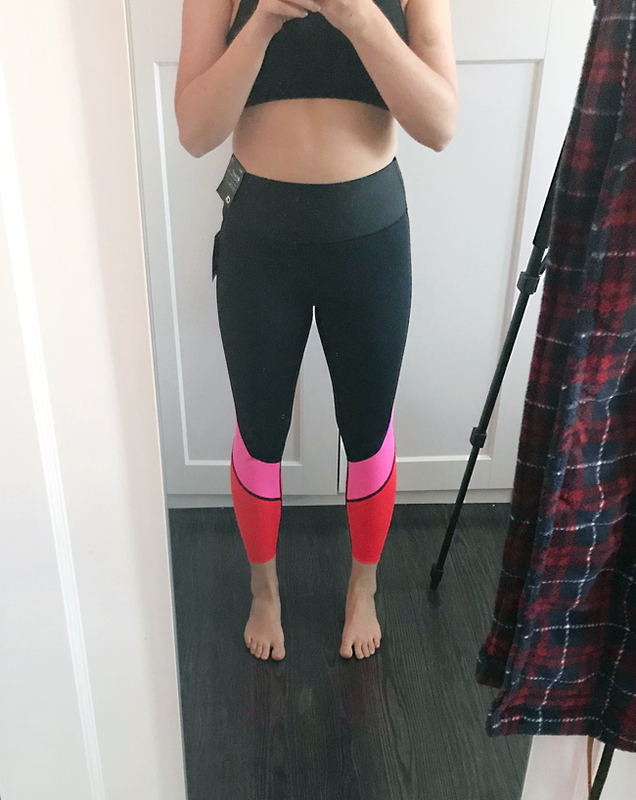 The band is seamless and super comfortable, and the fabric is very silky and seems to hug my body perfectly. I also love the black, pink and red colour combination. I definitely want more! 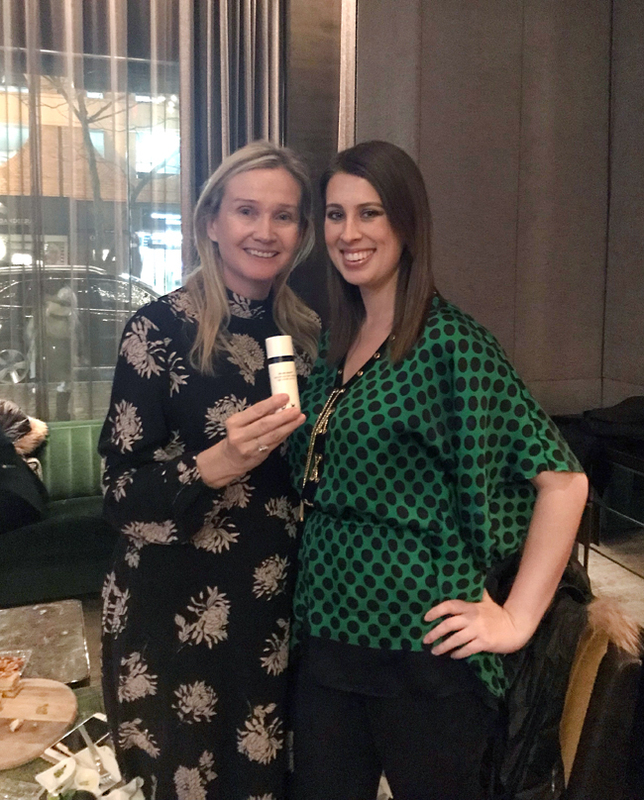 I felt honoured to be one of five bloggers that attended an intimate evening with Ulli Haslacher, the founder of Pour Moi Skincare. You may recognize the name of this brand from a post I published several months back. If you missed it, click here. 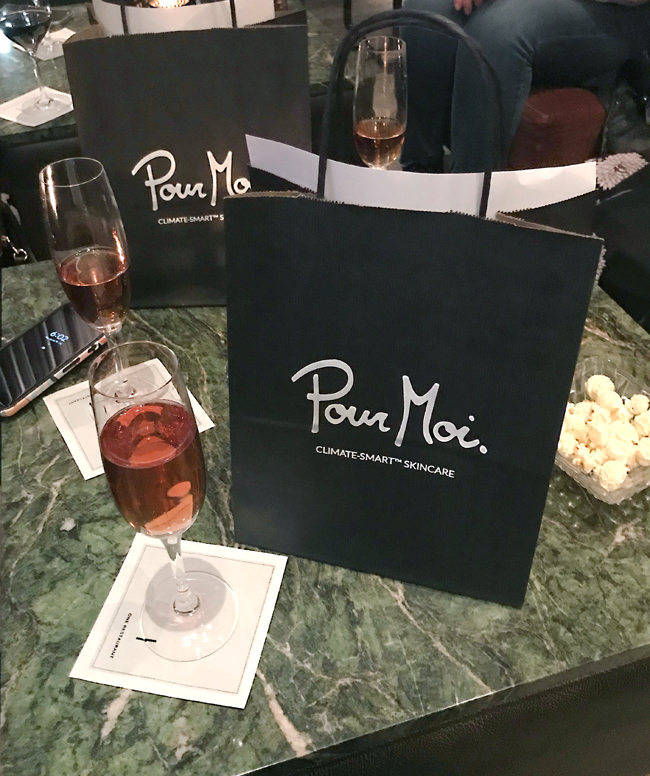 Pour Moi Skincare focuses on creating moisturizers for people living in different climates. For example, the Polar Day Cream works great in Canada right now as we suffer through the very cold temperatures. On February 25 they are launching a Mountain Day Cream for when the UV levels are high but the air pressure is low. Spoiler: it feels amazing! 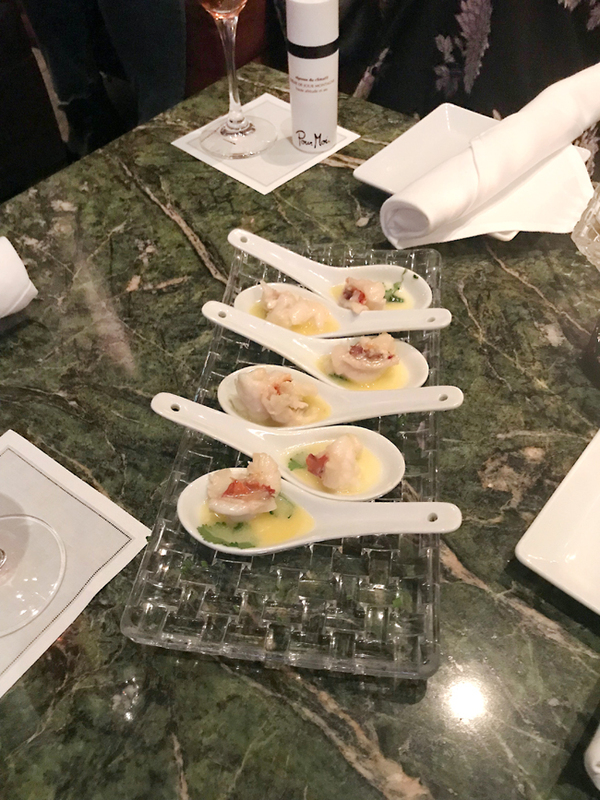 We gathered in the lounge at the ONE Restaurant in the Hazleton Hotel in Yorkville and had great conversation while sipping champagne and sharing appetizers. It was such an amazing opportunity to connect with Ulli in an intimate setting and I really enjoyed getting to know more about the brand. Tidying Up seems to be the biggest craze right now, and I’m guilty of feeling the need to organize absolutely everything as a result of it. I started with my clothes. Our house doesn’t have any closets, so space is limited. We bought a Pax Wardrobe System from IKEA when we first moved in, which seems to serve us well. However, the dresser we share in our bedroom is stuffed like a fat turkey at a Thanksgiving dinner. The drawers barely close and I feel as though I’m constantly drowning in a cycle of dirty and clean laundry because there is not enough room to put everything away. I scheduled time on Saturday to purge! 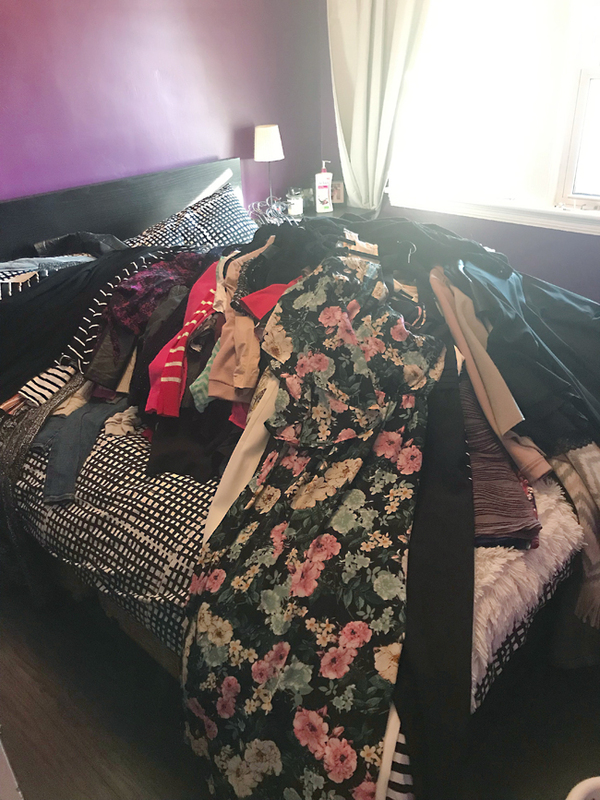 I piled every piece of clothing I own onto our bed and decided which pieces to keep, donate, sell or just chuck in the garbage. In the end, I was left with a couple decent piles of items I no longer want. 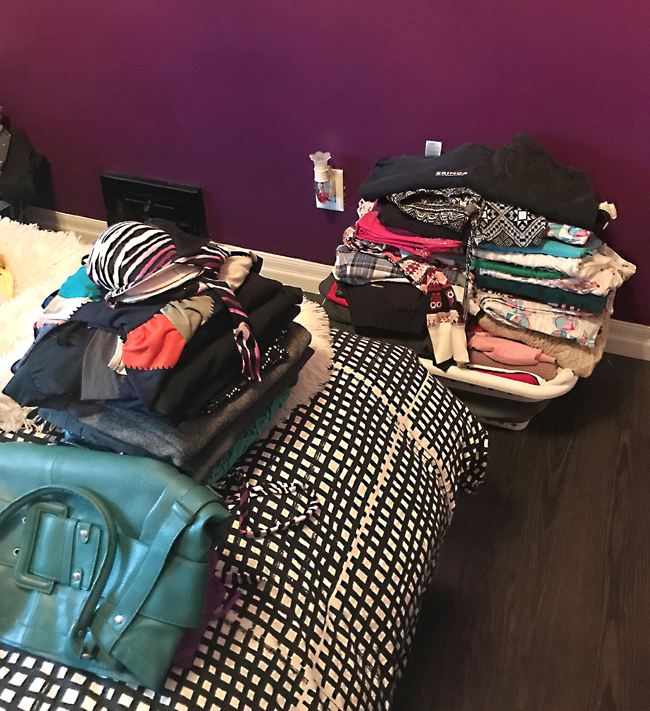 I attempted to follow Marie Kondo’s method of holding each piece to my chest and deciding whether or not it brought me joy. But in all honesty, it felt really silly. Ultimately, my decisions were based on whether or not the item cut off circulation in my legs or made me feel like a sack of potatoes. This method seemed to work well. Her folding techniques, however, is what I am most excited for. Seriously…I’ve been looking forward to it all week. She folds everything neatly into a rectangular shape that can stand on its own. This way, rather than being stacked one on top of the other into piles where you can only see what’s on top, a stack of shirts and pants can be placed into the draw sideways so each colour and pattern is visible. I’ll be tackling this at some point today. I feel like it may take a while. After my folding party, my plan is to take some of my gently used clothing items to Plato’s Closet. I’ve heard that second hand shops have seen an 80% increase since Tidying Up was released on Netflix. As a result, they’re turning people away. So we’ll see how successful my trip is. But afterwards, I’m super excited to watch RENT The Musical Live on FOX with Vanessa Hudgens. It’s one of my favourites and I’m looking forward to seeing how they do it. Will you be tuning in? I put up a blog post on Friday talking about a boujee anti-aging device and whether or not I feel it’s worth the money. If you missed it, click here!